We call him “Strut” and looking at his picture’s you must admit his name fits him well! 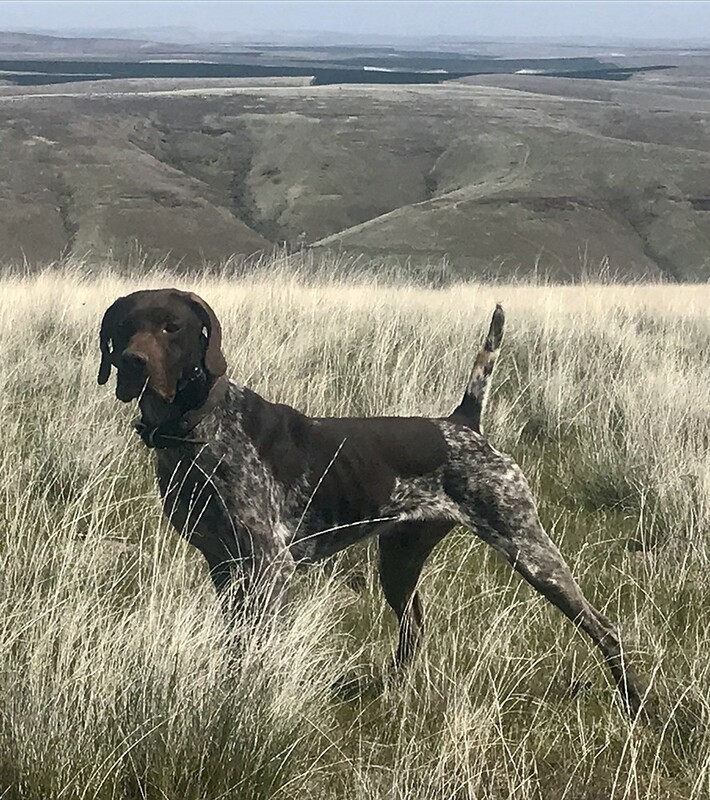 Strut is the son of the great FC/AFC Sabation V Greif and keep in mind that it has been said by many that Sabation “Put The Bird In Bird Dog”! Sabation also sired many field trail greats such as FC Rockin Rollin Billy and FC Huachua Rocky. He is also the grandsire to FC Rincon’s Slick Willy. To have “Strut” the Son of such a great producing and proven dog as Sabation is truly an honor! The quality of Strut’s nose is the best I’ve ever seen in all my years of breeding, training, guiding you name it! 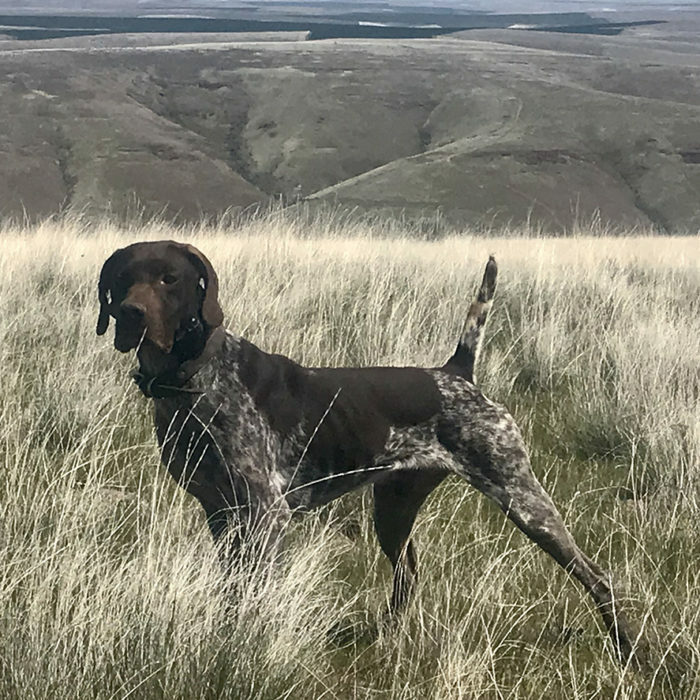 I have seen, hunted and trained to many dogs to count and Strut’s nose and ability to scent birds at twice the distance of other great dogs is truly amazing. 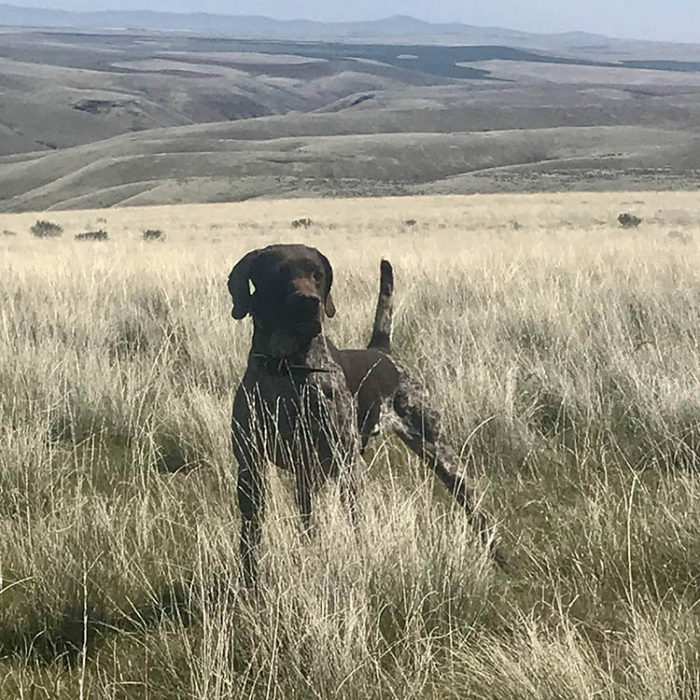 He also has the most natural retrieving and intense pointing instincts all wrapped into one big running as well as stunning to look at German Shorthaired Pointer you’ll ever see. 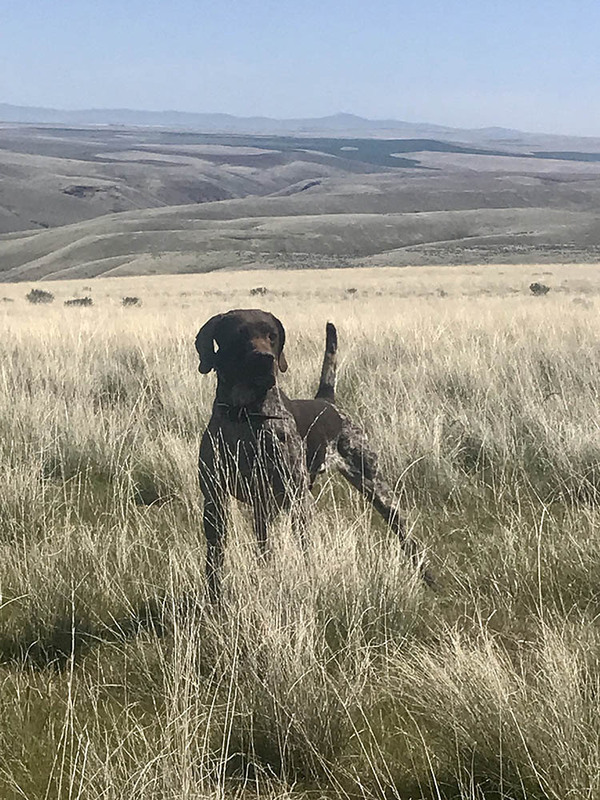 © 2019 Central Oregon Sporting Dog All Rights Reserved.